Written by Dr. Shubham Mehta and medically reviewed by iCliniq medical review team. A tension headache is a dull, persistent pain that occurs in the temporal region (part of head just above the ears) in a band like distribution and may radiate forward to the frontal (forehead) region or backward to the occipital (part of head just above the neck) region. It is also referred to as a muscle contraction headache. 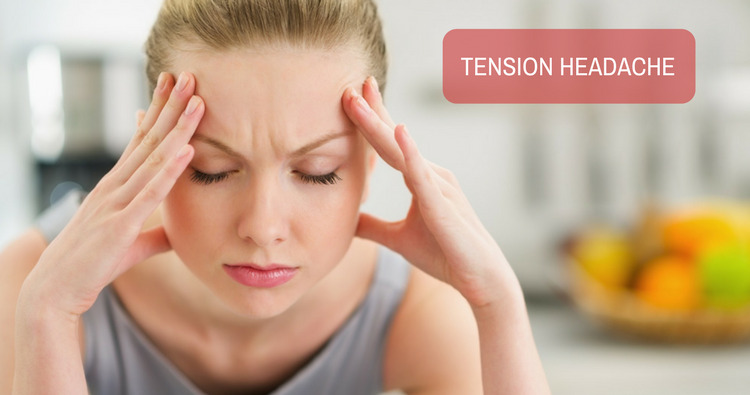 The causes of tension headache are open to debate. It has not been possible to relate them very well to any particular psychological profile. It may arise from tight tense muscles, but this is still debated. It is also considered to be a variant of migraine. Mild to moderate intensity of pain. Bilateral location (involving both the sides of the head) of pain. No aggravation of pain with physical activity. Chronic tension headache is characterised by average headache frequency of fifteen days per month for six months in a year, frequently associated analgesic overuse, superimposed migrainous features intermittently. Treatment is different from that of migraine. Treatment of the acute pain includes drugs that are primarily analgesics such as Non-Steroidal Anti-Inflammatory Drugs (NSAIDs). Prophylactic therapy is usually required and the most effective agents are tricyclic antidepressants like Amitriptyline. Other drugs used in the prohylaxis are Propranolol, Valproate and Topiramate. Non pharmacologic approaches include physical therapy to the head and neck region and biofeedback. However, the benefits are generally short lived and long term results are disappointing. Do you have a question on Migraine or Analgesics?